Ms. Di Salvo is very active in the San Jose community. She is a member of the Rotary Club of San Jose. Through her rotary involvement, she is chair of the public relations committee, member of the contributions committee and the endowment board. Ms. Di Salvo is vice-chair of the County of Santa Clara Florence, Italy, Sister County-Commission. She is also a member of the San Jose Silicon Valley Chamber of Commerce and was a member of the board of directors for eight years. She is a past Commissioner for the City of San Jose Parks & Recreation Department, and past president of the YWCA Board of Directors of Santa Clara County. She is past-president of the South Bay Public Relations Roundtable and the 1991 Chairperson for Women In Business, a San Jose Metropolitan Chamber of Commerce program. 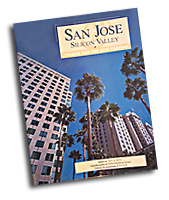 She is also editorial writer for San Jose-Silicon Valley: Primed for the 21st Century, a book about the area that is now available in bookstores. Since 1995, Ms. Di Salvo has taught public relations as an adjunct professor in San Jose State University's School of Journalism and Mass Communications program.